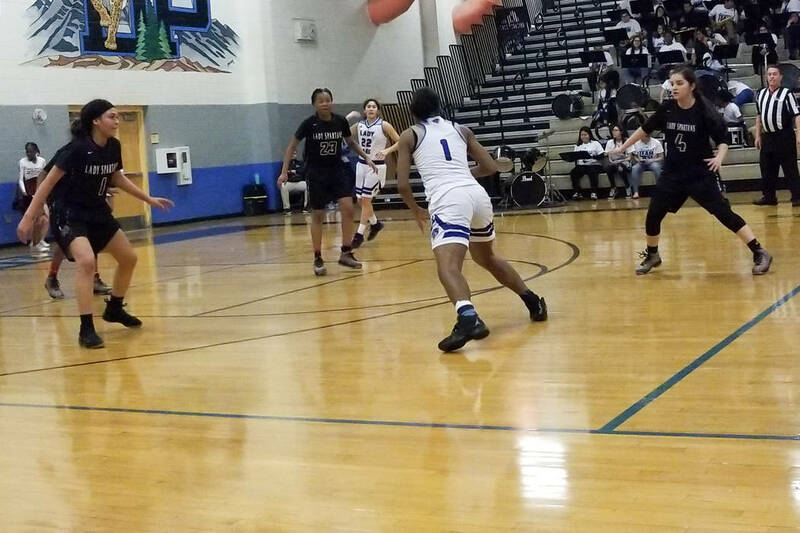 Wesley-Nash finished with 25 points, six rebounds, eight assists and two steals to lead the Spartans to a 58-44 road win over Desert Pines in the Mountain Region girls basketball tournament. 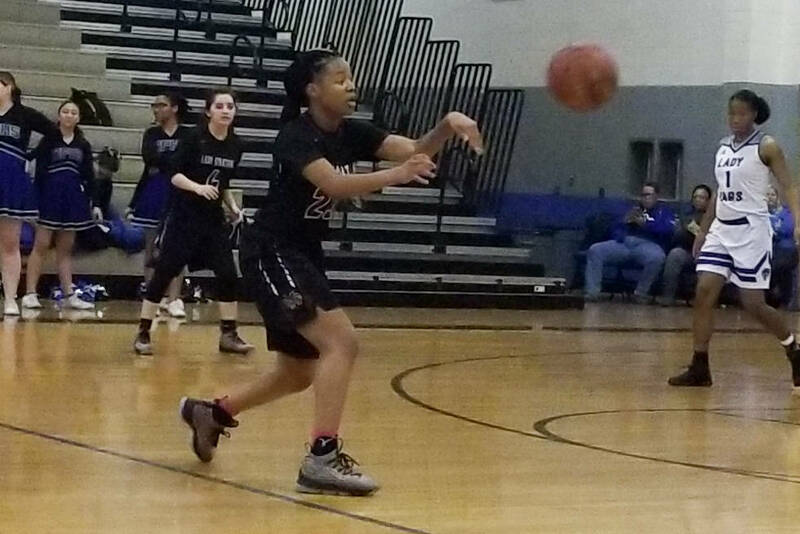 Cimarron-Memorial junior Yesenia Wesley-Nash only took one shot in the first quarter Tuesday, but got her teammates involved with three assists. She took over the scoring burden after that. Cimarron forced 15 first-half turnovers and held the Jaguars to three-second quarter points to take control early. Desert Pines was 1-for-13 from the field in the second quarter. Wesley-Nash scored 12 points in the second quarter as the Spartans pushed their lead to 34-12 at the half. Cimarron leading scorer Elise Young, who started slowly and picked up two fouls in the first half, scored six points in the third quarter to help Cimarron extend its lead to 49-23. Young finished with 13 points, 14 rebounds and three assists. Desert Pines made a bit of a run in the fourth quarter behind Zeyana Pattillo, who scored 11 of her 17 points in the final quarter. Elasjanae Burns added 13 points and 15 rebounds for the Jaguars. Cimarron plays at Faith Lutheran (18-10) in a quarterfinal at 6:30 p.m. on Thursday. The Crusaders beat the Spartans 66-58 and 64-53 in the regular season. Palo Verde 50, Bonanza 43 — At Palo Verde, Alyssa Maillaro had 21 points as the Panthers topped the Bengals. Kedrena Johnson added 10 points for Palo Verde (8-16), which used a 14-7 fourth quarter spurt to pull out the win. The Panthers will visit Centennial (25-1) in a region quarterfinal at 6:30 p.m. Thursday. Rayanna LeFear had 15 points, and Macyn Raleigh scored 11 for Bonanza (11-17). 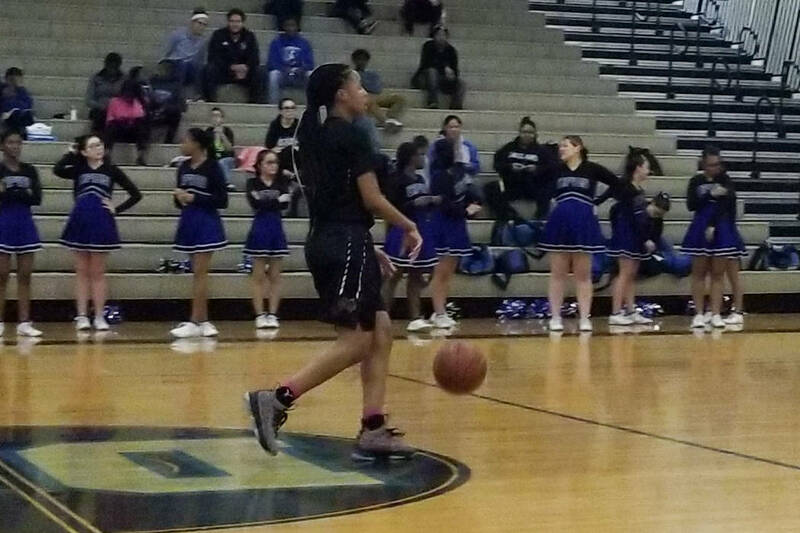 Shadow Ridge 55, Rancho 31 — At Shadow Ridge, Vashay Young scored 23 points to help the Mustangs to a rout of the Rams. Sanaya Snell and Nadia Morales each added five points for Shadow Ridge (20-6), which led 24-13 at halftime and will visit Legacy (14-10) in a region quarterfinal at 6:30 p.m. Thursday. Kristal Sullivan scored 12 points for Rancho (11-17). Arbor View 53, Cheyenne 43 — At Cheyenne, Jessica Castro scored 13 points as the Aggies downed the Desert Shields. Amiya Lattomus added 12 points for Arbor View (5-21), which cruised to a 35-14 halftime lead and will visit Canyon Springs (23-3) in the quarterfinals at 6:30 p.m. Thursday. Heavyn Bryant led Cheyenne (7-13) with 10 points.